Includes the book/CD pack Play Klezmer! 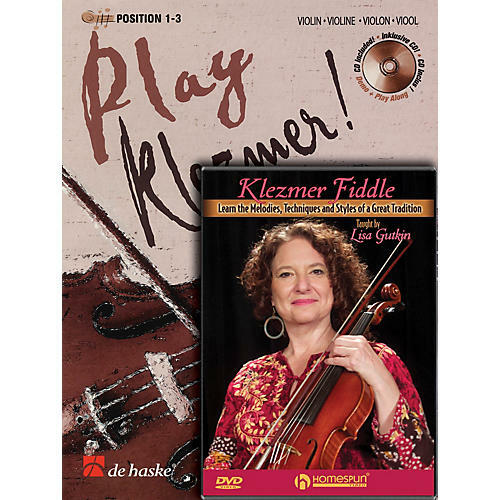 for Violin (44001539) and the DVD Play Klezmer Fiddle (00642164) in one money-saving pack. The book is intended for violinists who want to explore the characteristic sounds of Klezmer music. These twelve irresistible Yiddish melodies can be performed using easy position play (up to third position) and simple double stopping. More advanced violinists can add their own personal touches to the music. Play along with the enclosed CD to get in the mood. A great value at $37.90!